ComiXology, The Revolutionary Cloud-Based Digital Comics Platform, Adds More Than 650 New VIZ Media Manga Volumes Including New Additions to Continuing Titles And Entire Runs of Legacy Fan-Favorites. VIZ Media, LLC (VIZ Media), the largest distributor and licensor of manga and anime in North America, and comiXology, the revolutionary cloud-based digital comics platform, have announced a massive addition of over 650 new VIZ Media manga titlesoriginally published in Japan by Shogakukan available now in English on comiXology.com and on the comiXology app for Fire tablets, iPad, iPhone, Android and Windows 8. Today, over 650 new manga volumes, spanning more than 65 acclaimed series, and all in English, have been added to the comiXology platform for manga fans to browse, buy and enjoy. Many VIZ Media series are now available in their entirety and span an extremely diverse range of adventure, action, sci-fi, horror, mystery, and romance genres. 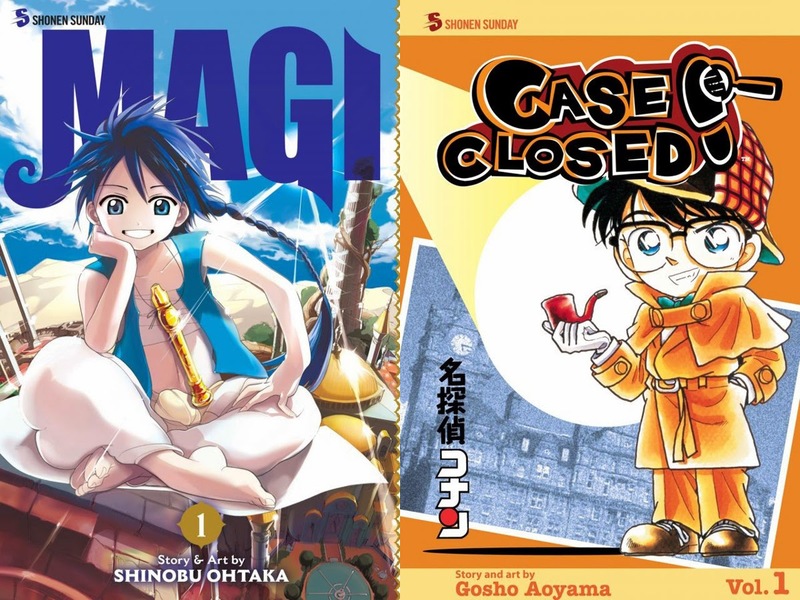 New volumes of fan-favorite continuing series are added to comiXology each week as part of VIZ Media’s regular weekly digital manga update schedule. Please visit www.comixology.com for more information. All the new VIZ Media manga titles found in this massive update were originally published in Japan by Shogakukan, Inc., a VIZ Media parent company and one of Japan’s biggest publishing companies. This latest comiXology content update makes more than 1,100 VIZ Media manga volumes across more than 190 different series available. Readers can enjoy all these acclaimed releases using comiXology’s Manga Fixed Format, which enables a dedicated right-to-left full-page reading experience and the highest resolution pages available. There is a world of myth and magic that intersects ours, and only a special few can see it. Misao Harada is one such person, and she wants nothing to do with magical realms. She just wants to have a normal high school life and maybe get a boyfriend. But she is the bride of demon prophecy, and her blood grants incredible powers, her flesh immortality. Now the demon realm is fighting over the right to her hand… or her life! Out of nowhere, a Japanese elementary school is transported into a hostile world. Soon, the students and teachers must struggle to survive in impossible conditions, besieged by terrifying creatures and beset by madness. Part horror, part science fiction, THE DRIFTING CLASSROOM is a classic can't-put-down manga series from horror manga master Kazuo Umezu. In order to help her father, Chiwa Takanashi agrees to an arranged marriage with the company president, Hokuto Mamiya – a man she doesn’t know – at the request of Hokuto’s grandfather. Chiwa believes the arrangement isn’t binding, but her new partner seems to think otherwise. Can two strangers living together find their way to a happy marriage?! Kaya Satozuka prides herself on being an excellent secretary and a consummate professional, so she doesn’t even bat an eye when she’s reassigned to the office of her company’s difficult director, Kyohei Touma. He’s as prickly – and hot – as rumors paint him, but Kaya is unfazed… until she discovers that he’s a vampire! !